The Enterview is one of our most popular video door entry systems and is easily expandable by adding up to 4 additional handsets to interior rooms. Available in Colour, Black & White and with the option of an exterior keypad to form an access control solution. 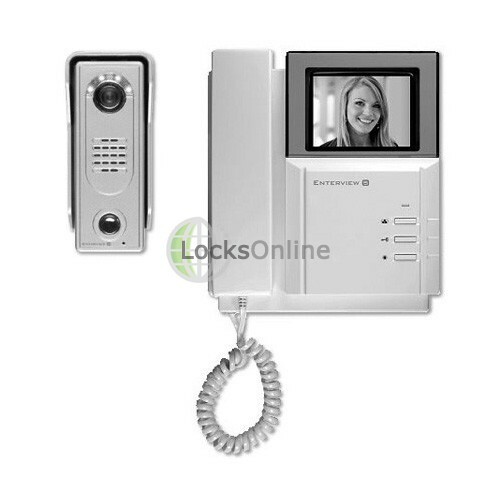 The Enterview 5 is the very latest generation of the ever popular range of video door entry systems. This entry level mono unit provides crisp black and white, high quality images in all light conditions combined with high quality duplex voice between handset and external vandal resistant camera call point. The LOL-EV5 has 4 in-built high intesity LEDs that are activated automatically, giving a crisp, clear image to the user regardless of external conditions. Improvements made to the Enterview 5 include the ability to connect up to two external camera call points, ideal if you have both front and rear entrances that you wish to control. 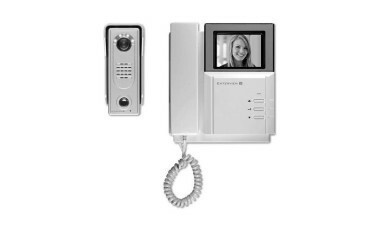 In addition to extra camera call points, the Enterview 5 allows the connection of up to 3 additional interior handsets, an ideal solution to a door entry system on a large property. These additional handsets and call points can be purchased seperately on a later date and installed as and when you need them. 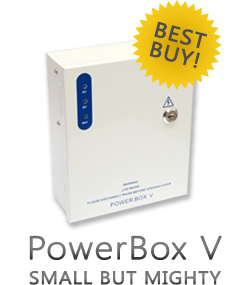 The included power supply feeds suitable voltage to operate both interior and exterior call points. 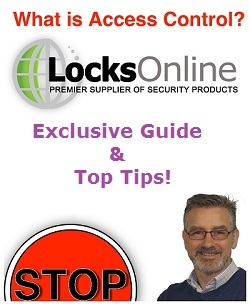 An additional power supply is only required when introducing an electronic lock or electronic lock release, such as an electric strike. Kits consists of: 1x 7inch LCD Monitor, 1x Exterior Call Panel, 1x 1amp Power Unit, 1x Bus Splitter (Required if adding additional door stations.